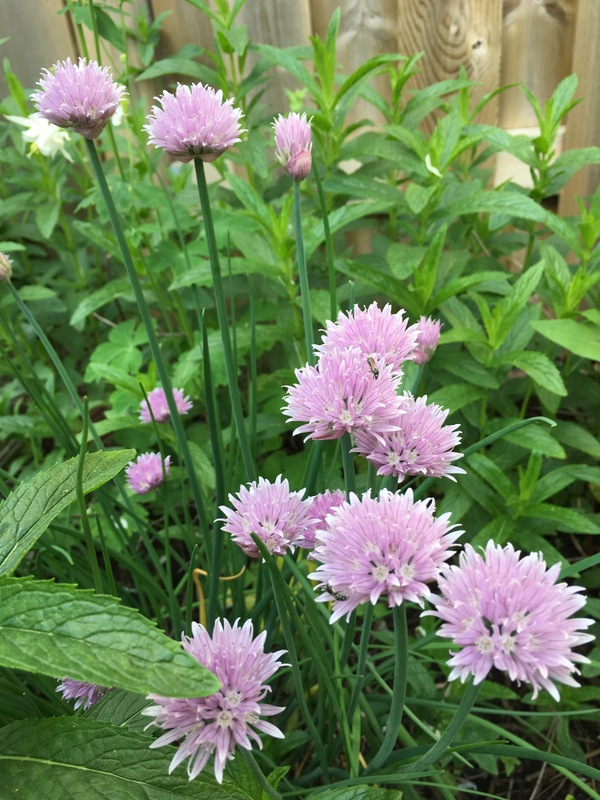 Chives are the easiest home garden herb to grow and they come back every year without fail. They taste great and also bloom into lovely little purple blossoms. 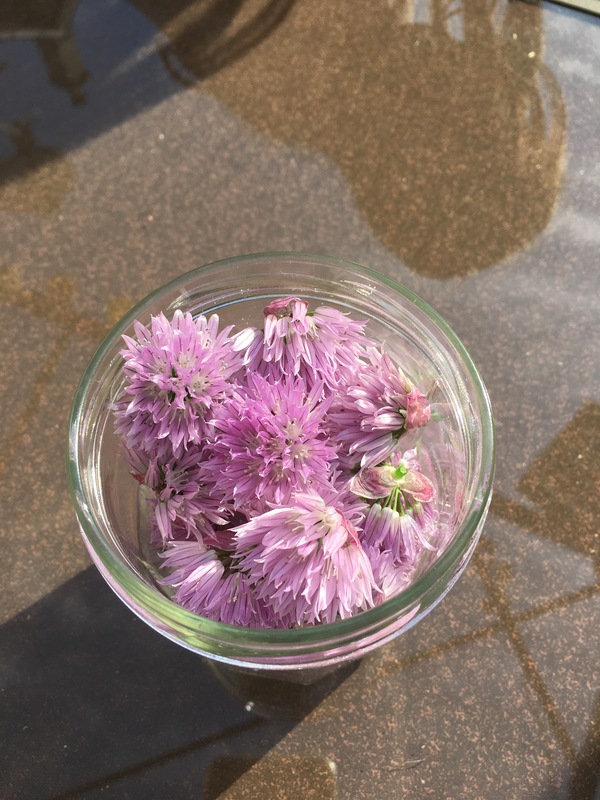 It is these lovely little Lorax style blossoms that we use to make this garlicky flavoured vinegar. Snip just the blooms from the chives wash and thoroughly dry. I washed and then patted dry with a paper towel, then lay out on a dry paper towel for a few hours until totally dry. 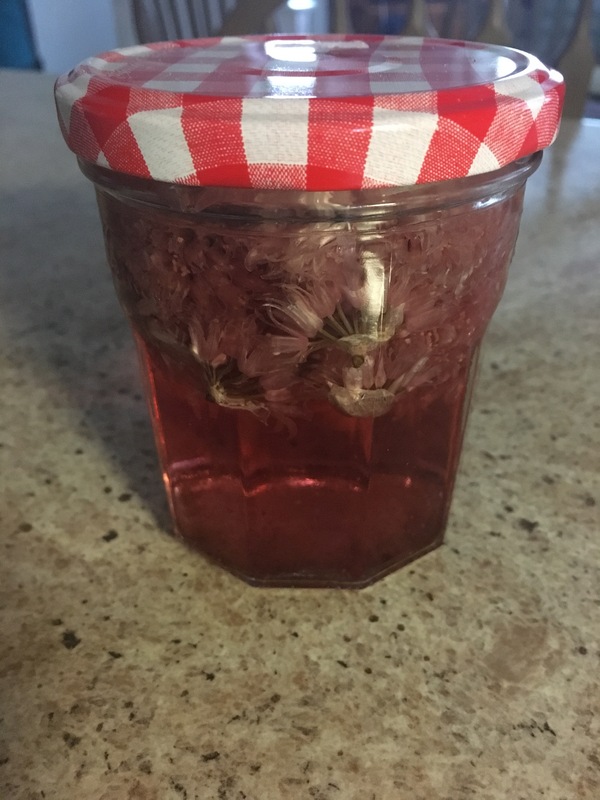 Put cleaned blossoms in a clean dry mason jar. Cover with vinegar of your choice. 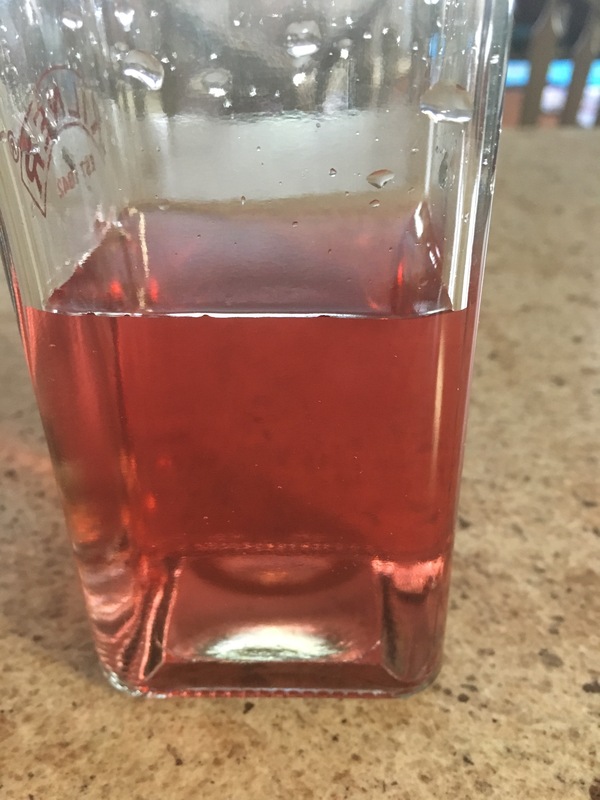 I used apple cider vinegar, that was all I had at the time, but I think white wine vinegar or champagne vinegar would be really nice too. 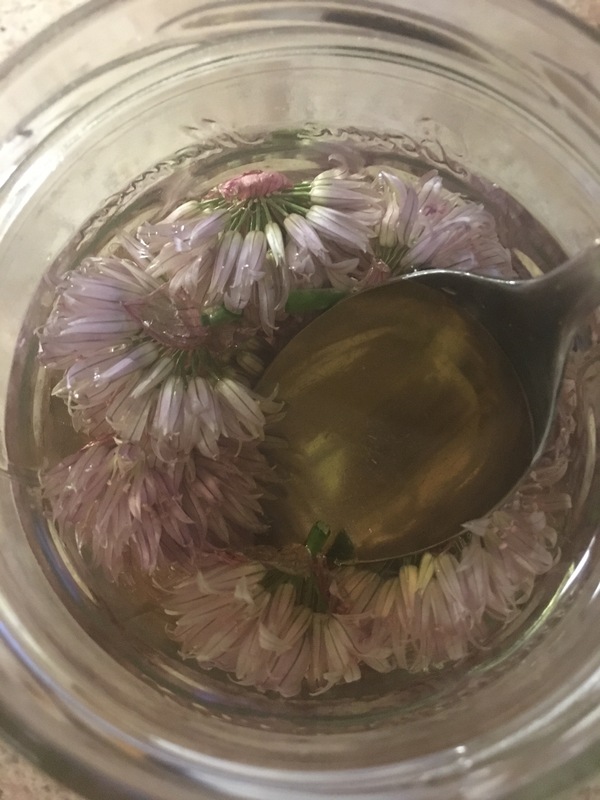 Press blossoms down with a spoon to submerge and make sure they get covered in vinegar. Place the lid on the jar and store in a dark cupboard for about two weeks. 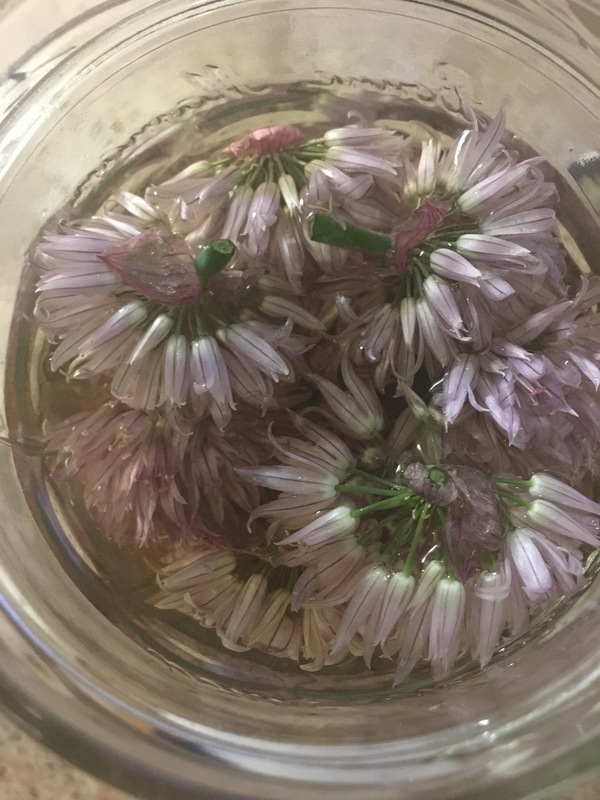 After two weeks you have this pinkish purple liquid, when you take the lid off it will smell like garlic chives. It does smell really good! 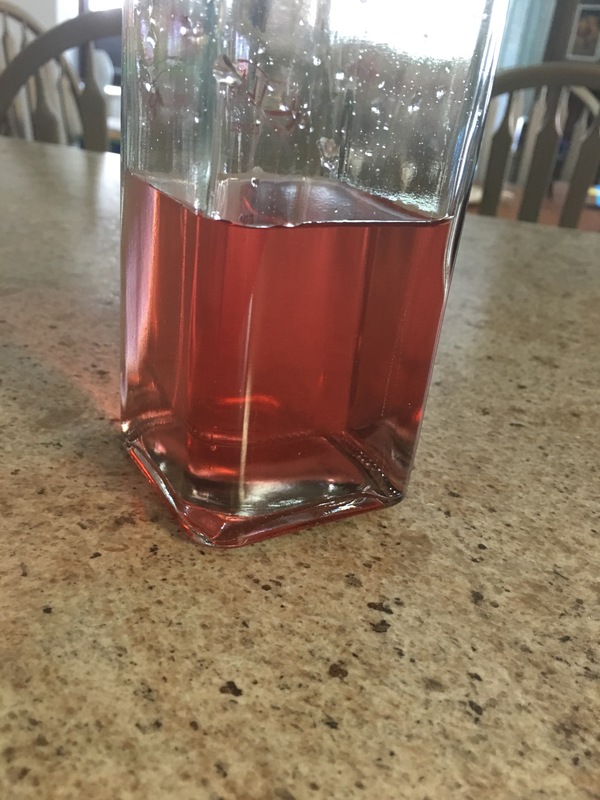 Strain vinegar through a cheese cloth into a clean dry bottle or jar. Use in favourite salad dressings, vinaigrette or any recipe where you would use vinegar. Now go grow some chives! 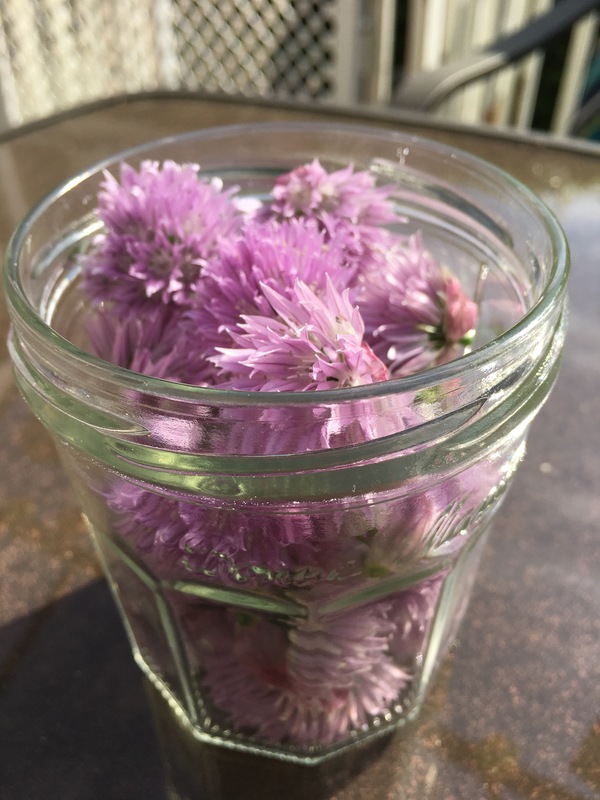 This entry was posted in condiments, frugal, gardening, preserving and tagged chive blossom vinegar, chive blossoms, chive vinegar, chives, edible flowers, flavoured vinegar, frugal, gardening, herbs, homegrown, homemade, preserving, recipe, vinegar. I have lots of chives growing around the house. Thank you for a clever idea to use them in salad dressings!